Walking in my favorite garden pauses winter’s grief. Morning sun toasts bracing air. Subtle winds swipe bronze mobiles. Sand patterns swirl around clusters of azaleas. Pond of tinsel-thin ice patches morph into shimmering waters. Rushing streams jostle among stacks of rock. Hidden beauty of skeletal trees reveal decades of endurance. Chinese cork and beech trees hover candelabra-arms over spent grasses. Stands of vibrant green bamboo glisten in the sun. A two-sided bamboo shelter interfaces outer and inner worlds. A flock of sheep, motionless these many winters, still heads northwest. 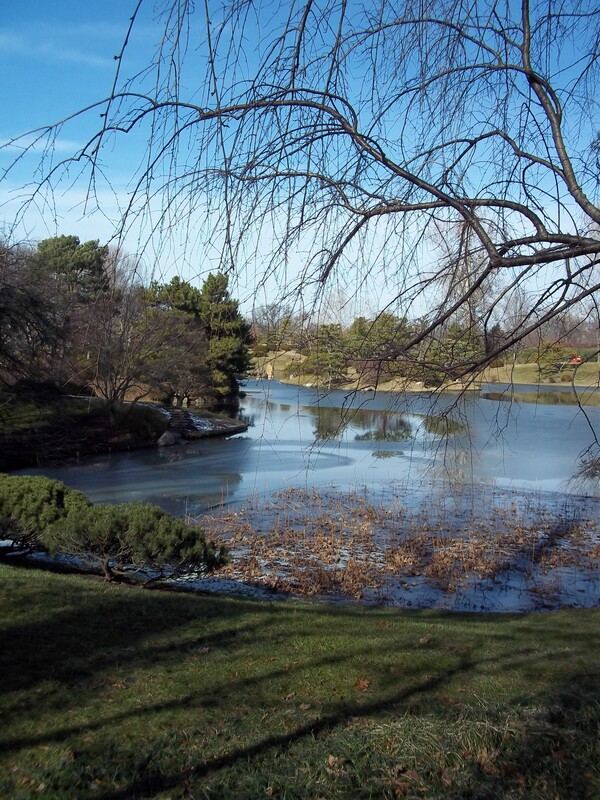 Yes, this is the Missouri Botanical Garden, a place of stillness and joy, but any garden will do.